The ideal durable media for full-color indoor or outdoor signage. Create brilliant, highly durable outdoor or indoor signage for retail, trade-show, advertising or point-of-purchase applications. 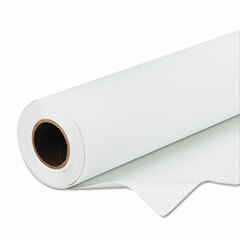 Tear-resistant, matte-opaque, PVC polyester banner material is embedded between two white vinyl layers for added strength.